This event has now finished, but you can view our current events here. Join us for a Shrektacular weekend full of DreamWorks madness from this November, at Chessington World of Adventures Resort and Shrek's Adventure! London team up to provide you with the ultimate family short break! For a winter break in November, why not make the most of a weekend away at the Chessington Resort? Your days will be jam-packed full of DreamWorks Entertainment, a trip to Shrek's Adventure! London, a King Julian and Madagascar character breakfast, Madagascar fancy dress and a Family Game Show! You're spoilt for choice with these winter packages. Discover the kingdom of Far Far Away and release your inner ogre with this fun-filled, DreamWorks Weekenders with Shrek's Adventure! London. Enjoy a totally unique two day package and experience two of London's most exciting attractions. Come face to face with Shrek, Donkey and others at Shrek's Adventure! London — a unique walk and ride attraction for the whole family. Then return to the Chessington World of Adventures Resort for more DreamWorks themed entertainment, an overnight stay and then a fun-filled day visiting the Chessington Zoo and SEA LIFE centre. Book now from just £159 per family! Discover all that the Chessington Resort has to offer with DreamWorks Weekenders! Discover all that the Chessington Resort has to offer with DreamWorks Weekenders! Choose from a fully-themed room in either the Safari or Azteca Hotel, sit back and enjoy DreamWorks-themed entertainment and activities and then have a jam-packed day exploring the Chessington Zoo and SEA LIFE centre. Book now from just £99 per family! Terms and Conditions apply. The Chessington Resort Park will be closed. Your package will include one day access to Chessington Zoo and SEA LIFE centre. Please see events pages for full details. 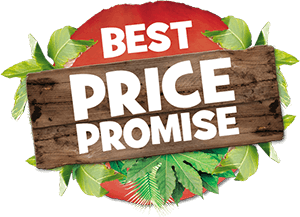 If you can find exactly the same Chessington Holidays ticket and accommodation package cheaper within 24 hours of confirming your booking with us, we will refund the difference to ensure you have paid the best possible price for your break subject to a few terms and conditions. Reclaiming your money is really easy. Simply call us on 0871 360 2639 and let us know the details of your claim. We will look into it and give you a decision within 3 working days.